Ask your family, friends, and peers to do the same. This bill will help provide individual creators – such as photographers, illustrators, writers, and musicians – the ability to bring cases without the expense and complexity of Federal Court. APA is an industry leader in the fight for photographer's rights. 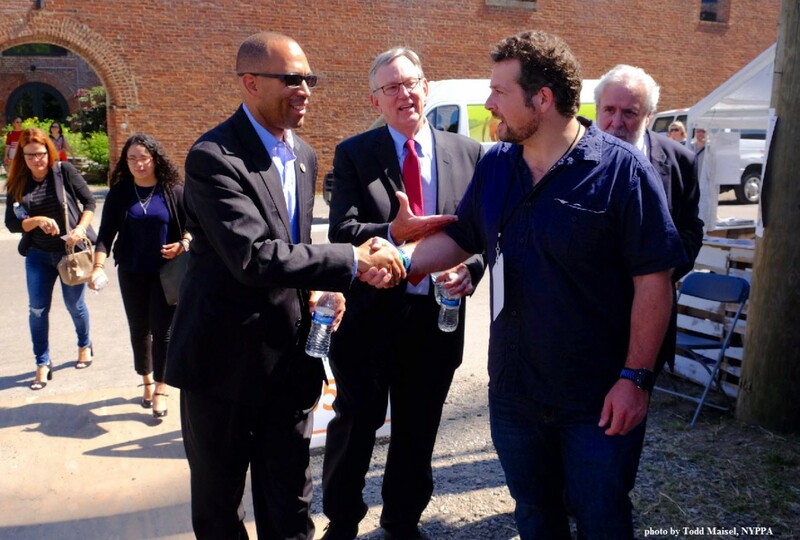 At Photoville this year, APA National President, Tony Gale and APA New York Members Ron Jautz and Alley Maher, along with members of other creator organizations, met with Brooklyn Congressman Hakeem Jeffries to talk about the importance of introducing a Small Claims Bill in Congress. 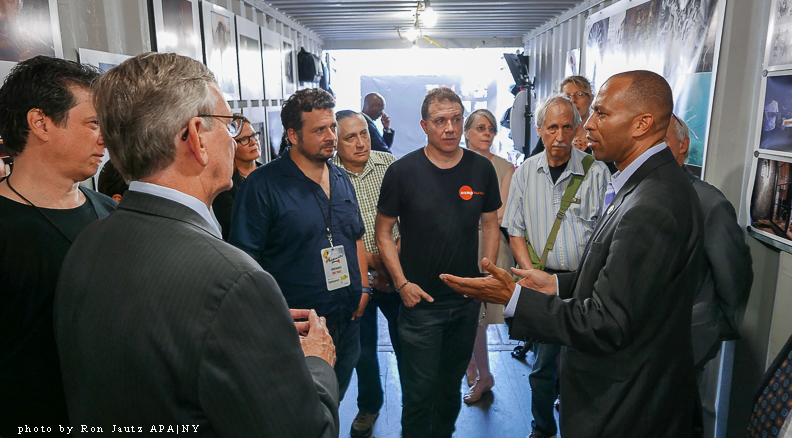 For Congressman Jeffries to come to Photoville and see the fine work being done by small-business creators and to hear directly how strong copyright legislation can benefit his creative constituents, helped solidify his intent to bring such a bill to the floor of the House. Yesterday, October 5th, Mr. Jeffries and Co-signers Marino, Collins, Smith, Chu and Lieu, introduced House Resolution #3945, the "Copyright Alternative in Small-Claims Enforcement Act of 2017" ("CASE Act of 2017"). This is a big step forward for photographers but the work is not done yet, the Bill needs to pass onthe floor of the House of Representatives. Now is the time to contact your Congressman and urge support of # H.R. 3945 when it is brought up for a vote. 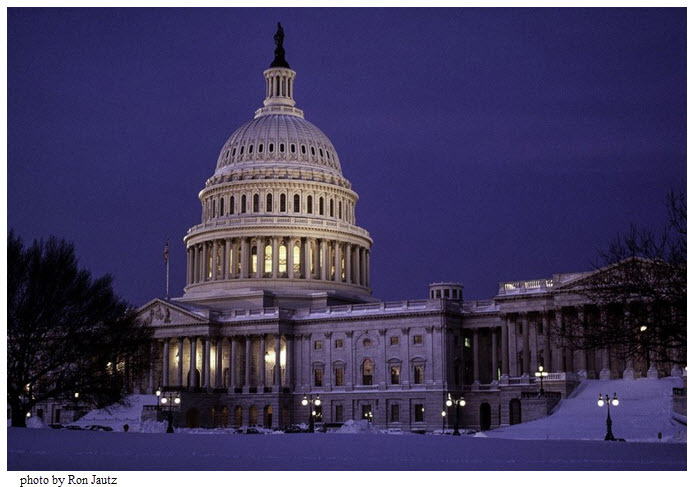 As individuals, it's hard to have your voice heard in Congress, but APA, in a strong coalition with other imaging organizations, can speak on your behalf and fight for your rights. Most people don't know about the leadership role APA plays when it comes to copyright matters, but APA fights for you--whether you're a member or not. If all photogrpahers joined APA, our voice would be even more powerful. We urge you to join today. Our coalition includes the American Photographic Artists (APA), American Society of Media Photographers (ASMP), Digital Media Licensing Association (DMLA), Graphic Artists Guild (GAG), National Press Photographers Association (NPPA), New York Press Photographers Association (NYPPA), North American Nature Photography Association (NANPA) and Professional Photographers of America (PPA). Together we can accomplish great things, so join the professional organization of your choice. The report recommends legislation limiting liability for the use of orphan works following a good faith diligent search for the copyright owner, similar to legislation passed by the Senate in 2008. The report also proposes the use of extended collective licensing for nonprofit educational and research mass digitization projects. The Office suggests a “pilot program” that would enable users to digitize and provide access to certain works for research and education purposes under conditions to be agreed upon between rightsholder and user representatives. To assist it in developing appropriate legislation, the Office is issuing a Notice of Inquiry contemporaneously with the Report, inviting public comment on various issues concerning the scope and administration of such a program. The American Photographic Artists (APA) is strongly opposed to Senate Bill 5650 and its companion legislation, Assembly Bill 7904, which would grant a seventy-year retroactive and descendible right of publicity to all deceased residents of New York State, regardless of their celebrity status. If enacted, such legislation will cause serious economic harm to our New York State members who photograph people as part of their jobs, whether doing so as employees of news organizations or as freelancers. This “Right of Publicity” will unconstitutionally deprive photographers and others of the right to exercise property and copyright interests in their still, filmed and recorded images. American Photographic Artists (APA) is a 501(c)(6) not-for-profit association for professional photographers. The American Photographic Artists is a leading national organization run by and for professional photographers. With a culture that promotes a spirit of mutual cooperation, sharing and support, APA offers outstanding benefits, educational programs and essential business resources to help its members achieve their professional and artistic goals. Headquartered in Santa Fe, NM with chapters in Atlanta, Los Angeles, Chicago, New York, San Diego, San Francisco, Charlotte, the Northwest and Washington, DC, APA strives to improve the environment for photographic artists and clear the pathways to success in the industry. Recognized for its broad industry reach, APA continues to expand benefits for its members and works to champion the rights of photographers and image-makers worldwide. Recognized as the heart of the media industry, New York State has always been at the forefront in upholding the First Amendment and its concomitant rights. Substantially expanding the breadth of a statutory right of publicity creates a burdensome and retroactive statute that will have a crippling and chilling effect on expressive speech. Such legislation will require representatives and owners of valid federal copyright registrations in images depicting any person (not just celebrities) domiciled in New York State who died after 1945, to obtain permission from heirs for any use that is considered as a vaguely defined “commercial purpose.” No descendible right of publicity has previously existed and, these deceased persons have never specifically transferred this right. Instead of heirs inheriting these rights, it is more likely that a corporation, with no interest in New York State, and whose only interest is in exploiting publicity rights and restricting photographers and their licensing representatives from contractually dealing with preexisting images, will benefit from this newly created ex post facto right. Photographers and licensing representatives will suddenly lose a right they have had for more than 100 years, with this unconstitutional taking. The language of this bill is overbroad, ambiguous and vague. It invites unnecessary and burdensome litigation. Application of the defined term “commercial purpose” would dispense with over 100 years of judicial interpretation of what constitutes “advertising and trade purposes” under the 1903 enacted NY Civil Rights Law § 50 & 51. Most importantly, the language in Section 34 Exemptions on Use Restrictions fails to provide a clear exemption for expressive works. Moreover, it conditions the exemption for expressive works where the work “does not contain an image or likeness that is primarily commercial, not transformative and is not otherwise protected by the First Amendment to the United States Constitution or New York state constitution.” The bill fails to define what would make an image or an individual’s likeness “primarily commercial” or “transformative.” It unconstitutionally restricts visual images and other expressive works and will have a chilling effect on image creators and licensors and those that rely on access to visual imagery in creating new works. The United States Supreme Court has ruled many times that any law that results in self-censorship is worse than a statute that specially bans or regulates protected speech. If a law “has such a tendency to inhibit constitutionally protected expression that it cannot stand under the Constitution.” See Smith v. California, USC 361 U.S. 147 (1959). The proposed legislation will most certainly increase the costs and burdens of licensing images, requiring increased fees and burdensome approvals for previously permitted uses. Photographers and their representatives will likely bear the undue burden of researching whether a deceased individual’s domiciliary was New York State, and if so, locating the owner of their publicity right and securing approval, which may never be possible. These individuals and companies can ill afford these costs and the end result will be fewer images licensed, and fewer jobs in New York State. The consequences of departing from clear law is too great to justify merely satisfying the desire of a few celebrities’ agents who want to unreasonably exploit photographers and the licensing of their images on which they rely for their livelihoods. The constitutional concerns, undue burdens and litigation risks such a law would impose on our members are far too high to justify any benefits it may provide. The chilling effect would be immediate and overwhelming. For the above stated reasons, APA strongly opposes S.5650/A.7904 and urges that this legislation be defeated. I was recently presented with an interesting situation that unfortunately seems to be getting more common as corporations attempt to usurp ever-increasing rights while paying less in licensing fees and shifting all legal risks to the photographer. An agency's art buyer sprung a last-minute legal document on me that, if put into effect, would have undermined all previously negotiated stipulations and left me relinquishing all rights to my images without compensation. It also required me to never bring a lawsuit against the client - a Fortune 500 global corporation - for any cause including negligence, infringement or defamation. An art buyer whose agency represents a Fortune 500 global tech corporation had approached me to shoot several environmental portraits on location throughout the country. The art buyer indicated that they needed to license the images solely for their client's website on an exclusive, unlimited basis in perpetuity. Production costs, nominal fees and terms were agreed upon and the shoot was set to begin the following week (as the deadline was tight). All that remained was for both of us to formally execute (sign) the contract. Later that same day, however, the art buyer sent me a form to sign (indicating it was "just a formality") entitled: "Photographer’s License, Release, and Waiver". By signing the agreement I would be handing over all rights to my images to this global corporation allowing it to re-sell licenses for profit without any further compensation to me. More over, the Waiver would have prevented me from approving how my images could be used or altered and from seeking legal remedies against the corporation as a result of any misuse. This was clearly an inappropriate over-reach and well outside of what we had agreed to or was needed for this assignment. In response to and in consideration for their tight deadline, I sent the art buyer my contract as we had discussed and agreed along with a list of questions regarding the Waiver I was being asked to sign. I did this with the expectation that there typically is a dialog between the photographer and art buyer, especially when the parameters of a project have changed. Unfortunately, this time things did not go as expected. Within a couple of hours, I received a note from the art buyer indicating that she was seeking another photographer for the project, as the Waiver was "non-negotiable" and she didn't have the time nor the inclination to discuss legal matters further. There are many take-aways from this story. It instructs us first that it's imperative to read any and all contracts you are being asked to sign. And if you don't understand something in the contract, contact an attorney (APA has a great one). Be honest, straightforward and respectful in your dealings with clients. And if you need to have something clarified or need to ask a question of the person hiring you, do so respectfully and in the spirit of ensuring everyone is on the same page and expectations are managed on all sides. Even if you do all these things with the best intentions, however, there may be times when, for reasons unknown, there is a lack of reciprocity from the person hiring you, such as in this case study. But remember that if a relationship starts out on the wrong foot and you are not feeling right about how you are being treated, it might be time to walk away as it usually only gets worse. Now more than ever, it is important for all of us to hold the line on ethics in our industry to ensure our livelihood into the future. I've provided a PDF of the Waiver I was asked to sign. Please pay special attention to the highlighted language as it is appearing more and more in contracts and should raise a red flag in your negotiations. Two years ago, as Chairman of the APA Advocacy Committee, I had the idea to create a Statutory Amendment to the Copyright Law which would require users of images on the internet, reprints, and elsewhere to pay the creator for the use. In tandem with that initiative, APA has been working on a distribution society, like ASCAP, to distribute those funds and others currently collected worldwide for photography to the rights holders—photographers. It became clear that this was not going to work without an industry-wide effort. Other APA officers and I helped form a coalition of trade organizations specifically for this effort. We have now met with Maria Pallante and her staff at the Copyright Office twice in an effort to change the plight of our members. Maria was particularly surprised at the inequities for photographers in the industry. The first step of our efforts has been realized with a Notice of Inquiry from the Copyright Office. This publicly opens the debate as to what needs to be done on our members’ behalf. We would love to hear from you. Please feel free to email me personally at Advocacy@APANational.org. We will be working with the other organizations in our industry to submit comments on your behalf. The U.S. Copyright Office has published a Federal Register notice requesting written comments on how certain visual works, particularly photographs, graphic artworks, and illustrations, are monetized, enforced, and registered under the Copyright Act. The Office is specifically interested in the current marketplace for these visual works, as well as observations regarding the real or potential obstacles that these authors and, as applicable, their licensees or other representatives face when navigating the digital landscape. Photographers, graphic artists, and illustrators have expressed a growing list of concerns in recent years when speaking to both the Copyright Office and Members of Congress. This Notice of Inquiry thus builds upon our longstanding policy interest in these types of visual works, including the Copyright Office’s studies in a number of areas such as small claims, the making available right, resale royalties, registration, recordation, and the interoperability of records. As always, the Office is interested in the perspectives of copyright owners as well as users of these creative works. This is a general inquiry that will likely lead to additional specific inquiries. The Notice of Inquiry is available at http://copyright.gov/policy/visualworks/. Written comments are due on or before July 23, 2015, and reply comments are due on or before August 24, 2015. Towards the end of December last year (2014), Time UK issued an onerous revision to its long-standing contributor contract. It's clear that Time drafted this revised contract with the sole purpose of intimidating its already under-compensated contributors into transferring their copyright directly to Time Inc. under fear of never working for Time again. If the content of Time's unprecedented rights-grabbing contract weren't enough, their devious methods ensured that photographers had little, if any, time to review the stipulations with legal counsel nor mount any organized resistance prior to the expiration of the arbitrary truncated signing deadline imposed by Time. To make matters worse, Time purposely issued their contract while most recipients were on Christmas holiday and required that the signed / executed contracts be returned solely via regular post. While many might consider this primarily a UK issue, it must be remembered that there are many US based photographers that contribute to Time UK. And since Time Inc. is a US based global corporation, there is no doubt that their parent office is closely monitoring what happens in their UK division before instituting the very same exploitive policies here in the US. APA feels it is imperative that all photographers become informed of this issue and keep alert to any contract of this kind that requires forfeiture of copyright. To this end we have posted a PDF of the contract and an open letter issued by BPPA (British Press Photographers Association) in response (below). APA leadership is currently reviewing the details of the Time UK contract and exploring all potential responses. Please watch this space and contact APA National with any questions and / or comments. What would make a photographer with well over twenty years experience, a mortgage and a family tell one of his key clients to “get lost” – using language that we couldn’t and wouldn’t want to post on a public facing website? The answer is your new rights-grabbing contract which includes a not-so-subtle line giving them a choice between signing what appears to be a massively unfair deal or losing any and all chance of supplying you ever again. Sadly, you aren’t the first major publisher and buyer of photography to decide that you want to tear up long-standing agreements which saw you buying licenses to use the photographs whilst the copyright remained with the photographer. Sadly, you probably won’t be the last either. The reason that the old one was a ‘long-lasting agreement’ was because it was fair – the word ‘equitable’ even comes to mind. The fees paid were OK but the ability to re-sell the work after an initial period of exclusivity made the jobs worth doing. Had you, the publisher, substantially increased the fees payable to the photographers to redress this balance then that sense of fairness may have been saved from what most of those photographers feel will be a sad, painful and untimely death. Receiving these letters just before Christmas has been causing anger, resentment and pain for a large number of photographers who can be excused for assuming that the calculation within the Time Inc UK management must be that enough existing people with no real option to do otherwise will sign and enough struggling photographers who don’t yet work for you will grasp their opportunity to get more work and keep their heads above water. Make no mistake, this is not a small adjustment to the terms and conditions under which so many photographers supply work to you. This is moving the goalposts, repainting them and renaming them as ‘scoring portals’. We would like to give you the opportunity to explain why this is being done. We probably know the obvious answers about maximising shareholder returns and the less obvious ones about protecting the brands but what about the relationship that you had with talented, creative and dedicated suppliers? Does a rights-grab of this magnitude make it worthwhile destroying relationships that have stood the test of time and that have worked well? Any explanation that you can provide will be shared with photographers because many of our members are struggling with your decision. Last month CAA (College Arts Association) widely distributed a damaging and flawed document entitled "Code of Best Practices in Fair Use For The Visual Arts". This document, by its title, purports to be a well-researched and balanced guide to understanding and applying Fair Use. Unfortunately CAA, whether intentionally or otherwise, excluded all artist rights organizations and their counsel from their research when compiling this biased document. In so doing, the result is nothing more than an opinion piece designed specifically to justify the theft of copyrighted works under the guise of Fair Use. In response to the release of the CAA guide, the major artist rights organizations excluded from participating in CAA's research (APA, NPPA, ASMP, PACA and PPA), sent a letter to CAA's leadership expressing concerns over the troubling methods and conclusions of the document. APA and the other signatories of the letter further suggested that CAA agree to re-draft a more accurate and balanced Fair Use guide with the help of the organizations and experts who represent the copyright holders. Only then will all parties be well-served and a true "Best Practices" be established. A reply from CAA leadership is still awaited. On February 26, 2015 the Subcommittee on Courts, Intellectual Property, and the Internet of the House Judiciary Committee, chaired by Rep. Goodlatte held another in a series of hearings related to copyright. 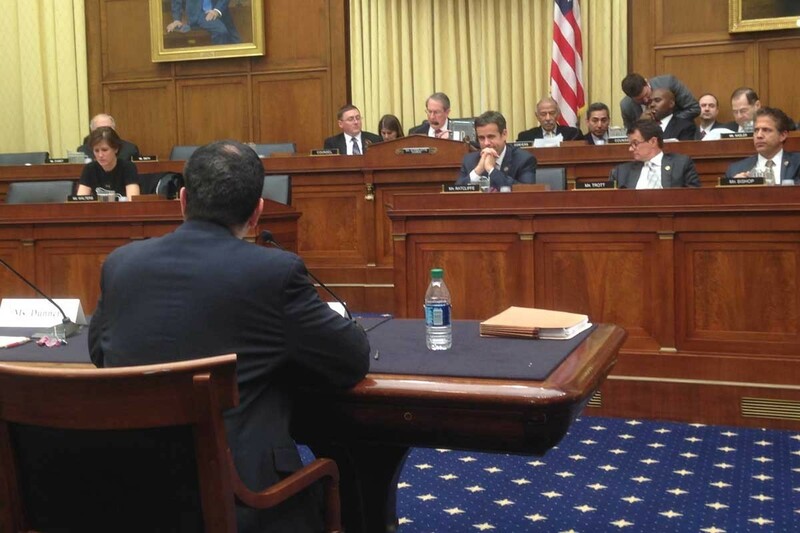 The subject of this hearing was The US Copyright Office: Its Functions and Resources. Ms. Nancy J. Mertzel, Schoeman Updike Kaufman & Stern LLP, on behalf of AIPLA. Attached below please find a summary of the individual testimony and the Question and Answer from this session produced by the American Continental Group. The Copyright Office recently released a report on Technological Upgrades to Registration and Recordation. The participants were in general agreement that the Copyright Office needs additional resources – human, technological, and financial and that it should be in control of its own IT Systems. Also, the Copyright Office should be given greater authority for Rule Making and greater autonomy so as to maintain impartiality and to be better able to adapt to changing needs. This meeting was one of a series over the last year and half exploring the possible need for changes and revisions to the Copyright Act. Visual artists have for some time wanted the creation of an alternate dispute resolution means or small claims court within the copyright system. Also, there is interest in an annual registration fee, the elimination of the deposit copy requirement, and possibly the elimination of the requirement for registration prior to infringement in order to bring legal action. Additionally, visual artists would like the ability to register images from within digital asset management workflow. Take time to support Copyright! Please sign the Copyright Alliance petition to be sent to the 114th Congress. Stayed tuned to APA for future developments in the copyright debate. As federal agencies and local municipalities search for ways of generating revenue from untapped resources, photographers and filmmakers are finding themselves more and more in the crosshairs of ever more onerous and costly shooting permits and policies. APA continues to monitor these changing policies and is working to ensure fairness, constitutionality and viability for all concerned. With that in mind, APA was asked to contribute comments to a letter being written by council for NPPA (National Press Photographers Association) addressing the unlawful and inequitable stipulations included in the newly drafted photo permitting policies of Fairfax County, Virginia as they pertain to shooting on public lands. Below is the letter that has been sent this week expressing our concerns. Watch this space for further news. The undersigned news organizations, photographers’ organizations and First Amendment advocacy groups wish to express our strong objections to the Fairfax County Park Authority’s (FCPA) proposed permit and fee structure and the abridgments they would impose on the First Amendment rights of citizens and visual journalists. Your proposed rules create an unnecessary and burdensome distinction between amateur and professional photographers. Whether the images being made and recorded are for journalism, weddings or any other type of photography/filming (hereinafter “photography”), distinguishing between professional photographers and amateurs who are doing precisely the same things, at the same times, and in the same places, is arbitrary, capricious and unconstitutional. As we have noted in comments regarding federal legislation governing photography on U.S. Park lands – the focus should be on whether the activity places an unusual burden on the land resource. It is also important to note that most major municipalities in the U.S. where photography occurs, have adopted a similar approach to the one we are recommending that protects the constitutional rights of all parties. Our opposition to the currently proposed language that “all professional photographers are required to obtain a professional photography permit” and that “with the permit you will have a scheduled use of the park area, avoiding conflicts with other groups and events” is based upon its being overly broad and vague while at the same time imposing a time-table for such activity. Additionally, the 5 day permit processing period proposed for FCPA approval creates a potential prior restraint on photography of all types. We believe that the proper question to ask is whether the photography creates any unusual impact on the land. If the activity presents no more impact on the land than that of the general public, then it should be exempt from permit and fee requirements. A permit should only be required if the photography takes place at locations where members of the public are not allowed, or if the photography substantially impedes public access to areas where the public is normally allowed -- and then only when the photography is clearly commercial in nature. If the primary FCPA Letter purpose is to inform the public, then no permit or fee should be required – and unless the photography is clearly commercial, the default is that it should be considered informational. Unfettered access is necessary in coverage of the important public policy issues that arise in the conservation and use of public park resources. Journalists should be free to report to the public on public issues from public lands at any time. That protection should extend not only to individuals traditionally identified as newsgatherers, but also for freelance visual journalists and members of the public who may use cameras on a speculative basis to photograph or film activities on public lands without having an assured media outlet for their work. Therefore, we strongly urge the FCPA to revise its proposed rules accordingly to craft an unambiguously worded policy that protects not only park resources but our First Amendment guarantees. Thank you very much for your time and attention in this matter. We look forward to your response. Santa Fe, NM (January 15, 2015) – American Photographic Artists (APA) is very excited to announce that Eugene Mopsik will represent APA and all visual creators on the PLUS Coalition Board of Directors, beginning 2015. “Gene’s history as a passionate advocate for artists’ rights has earned him a high level of respect from artists’ organizations, publishers, lawmakers and government agencies, not only in the USA, but around the world,” said PLUS Coalition President Jeff Sedlik. The Picture Licensing Universal System (PLUS) Coalition Board of Directors governs the Coalition, with one seat dedicated to each industry engaged in creating, distributing, using and preserving images. Trade organization representatives from the various sectors are nominated by the organizations to hold these seats. We chose Gene for his expertise concerning advocacy matters for artists, and because we felt that keeping him in his current Board position seemed like the best thing for the industry and the important work being done by PLUS, stated APA President Theresa Raffetto. As a new member of American Photographic Artists, Mopsik will also be serving on the Advocacy Committee of the APA to advise on industry issues. APA Vice President, Michael Grecco, currently serves on the PLUS Industry Advisory Council. The American Photographic Artists (apanational.org) is a leading national organization run by and for professional photographers. With a culture that promotes a spirit of mutual cooperation, sharing and support, APA offers outstanding benefits, educational programs and essential business resources to help its members achieve their professional and artistic goals. Headquartered in Santa Fe, New Mexico with chapters in Atlanta, Los Angeles, Chicago, New York, San Diego, San Francisco, Charlotte, the Northwest, Washington, DC, and APA Editorial Photographers, APA strives to improve the environment for photographic artists and clear the pathways to success in the industry. Recognized for its broad industry reach, APA continues to expand benefits for its members and works to champion the rights of photographers and image-makers worldwide. The PLUS Coalition (www.PLUS.org) is an international non-profit initiative on a mission to simplify and facilitate the communication and management of image rights. Respected associations, leading companies, standards bodies, scholars, industry experts and working professionals in 150 countries have collaborated to create the PLUS Standards and PLUS Registry, making it easier to communicate, understand and manage image rights on a global scale. The PLUS Coalition exists at the crossroads between technology, commerce, the arts, preservation and education. The allure of social media sites is undeniable: the ability to reach billions of people, to communicate efficiently with business prospects, and to create an accessible channel to the photographer’s work for whatever professional or personal aspiration they may have. This APA white paper is designed to help APA alert photographers who may be unable to resist the attraction of social media opportunities to the possible consequences of participation in social media platforms. What are the consequences of their post? A guide to successful photography principles. The APA Business Manual is an essential asset for professional photographers and assistants. It’s one of the many valuable resources provided by American Photographic Artists to the photographic community. The Business Manual is available to APA members and non-members alike. If you are not yet an APA member, we encourage you to join, but you can access the Business Manual at any time. Also available is the option to download the Business Manual by specfic chapter or topic. Timely copyright registration is critical to a successful resolution if your work is infringed. American Photographic Artists will continue to take an aggressive stance against the appropriation and use of works without compensation to the author, in light of the recent Cariou v. Prince settlement. The five-year legal battle between photographer Patrick Cariou and artist Richard Prince was settled last week for a confidential amount. Cariou filed against Prince for breaching his copyright by using his photos of Rastafarians to make "new" works. The Prince paintings and collages were already sold for over $10m by the Gagosian Gallery in 2008. "As one of the premier national photo organizations whose members rely on the licensing model to run their business, APA stands behind the Copyright Act and seeking permission for use," says APA President Theresa Raffetto. Although this case was settled, the issue of altered and derivative work without permission remains a major issue. The American Photographic Artists joined a courageous effort supporting artist and photographer Patrick Cariou by filing an amici curiae or 'friend of the court' brief on December 16, 2013 along with the American Society Of Journalists and Authors, American Society of Media Photographers, Graphic Artists Guild, Jeremy Sparig, National Press Photographers Association, Picture Archive Council of America, and the Professional Photographers Of America. APA and others submitted this brief primarily in opposition to the amicus brief filed by the Andy Warhol Foundation "and other elite foundations and museums who do not represent the views of working artists." The Brief stated APA members "operate businesses which rely heavily upon, and derive substantial revenues from, a large, broadly defined, secondary and derivative market for the use of existing photographic work." It goes on to state, "APA members seek to preserve the licensing possibilities presented by this secondary and derivative market, and they seek a consistent application of the principles under which this market has traditionally functioned." "Photographers, and all creators of original work, should not be deprived of their work's value on the basis of appropriation," says Raffetto. Once again Getty Images has failed photographers, this time by making the bulk of its collection available to be shared online free of charge for non-commercial users. American Photographic Artists, APA, stands against this decision and is currently working with other organizations on developing a statutory licensing system. Grecco and other APA photographers were disillusioned with Getty before this week’s announcement and already removed their images from the Getty Images library in favor of negotiating licenses, picture by picture. Lawyer James Silverberg says APA expects to have a proposal ready within the next year on how artists can be compensated more effectively for the online usage of their work. American Photographic Artists encourages their members to start looking out for their needs and severing ties with agents like Getty that do not work in their best interest. Terms of Service (ToS) and User Agreements are binding legal documents that apply to you whether you read and fully understand them, or not. Most of these documents dictate ways in which the services can use, share, even sell your images without any further permission from you. Images you post may escape your control and may not ever be completely removable from the internet, even in cases where you may be legally liable. Even if your images never leave the site, you may forfeit future licensing opportunities because clients may want exclusivity that you cannot guarantee. You may be liable for others' use, or misuse, of your own images that you post. Consider limiting your postings to a small, finite group of images you're willing to devote to a marketing or business plan. Consider watermarking your images to limit their commercial viability and to prevent your images from becoming separated, or "orphaned" from you, their creator. Consider linking to your images from your blog or website, rather than posting new files. Check your insurance policy to be sure you're covered for the potential liabilities you assume when posting to social media. Know your rights. Take a few minutes to read the ToS for wherever you choose to post your work, then decide. And if you don't understand or you're unsure, don't rely on readings on the internet. Consult your own attorney for legal advice. The American Photographic Artists joined a courageous effort supporting artist and photographer Patrick Cariou by filing an amici curiae or ‘friend of the court’ brief with the American Society Of Journalists and Authors, American Society of Media Photographers, Graphic Artists Guild, Jeremy Sparig, National Press Photographers Association, Picture Archive Council of America, and the Professional Photographers Of America, in Cariou vs. Prince, Case No. 08 Civ 11327 (Dab) in the Southern District Court of New York. Prince took Cariou’s photographs and displayed them as his own in his Five Paintings. He did not avail himself of any avenues by which he could easily have obtained permission to use Cariou’s creations or other readily licensable images. He minimally altered the photographs; it was a bare display of Cariou’s original work. As a result, Prince also usurped Cariou’s right to control the marketing and exposure of Cariou’s original aesthetic vision. Defendants and the Warhol Foundation propose an application of the “reasonable person” standard that would not even require modification of the original photographs’ aesthetic in any way. Such a standard would permit appropriating artists to circumvent the available licensing systems, knowing that a standard that permits simple after-the-fact rationalization for appropriation as a “fair use” defense forecloses many less-endowed visual artists from fighting them in the courts. In short, such a standard deprives copyright owners of both their original copyrighted vision, as well as the additional valuable property rights conferred by the statutory scheme. Photographers, and all creators of original work, should not be deprived of their work’s value on the basis of appropriation. David Leichtman and Hillel Parness of the New York law firm of Robins, Kaplan, Miller & Ceresi wrote this brief. Plaintiff, Patrick Cariou, as well as Defendants, Richard Prince, the Gagosian Gallery, Inc., and Lawrence Gagosian have all, through their legal counsel, consented to the submission of this brief.